The Detroit Tigers are helping break the cycle of abuse this year! 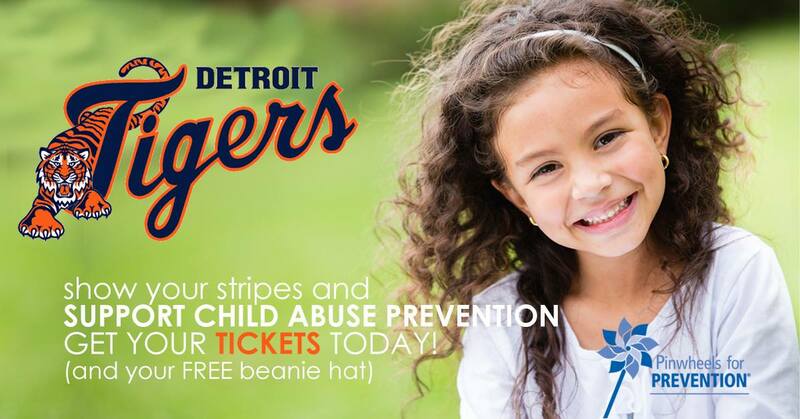 In recognition of National Child Abuse Prevention Month, each package for the April 20th game includes a game ticket, a Detroit Tigers/Pinwheels for Prevention Beanie, and a donation to your local Child Abuse Prevention Council. Your attendance helps support community education programs designed to keep all kids safe from the threat of abuse. We hope to see you there!